Iran's president issued a stern warning to Tehran's adversaries and vowed not to give up the Islamic Republic's defensive missile capabilities on the anniversary of the start of the 1980-1988 Iran-Iraq War. In a speech dedicated to the conflict, which began on September 22, 1980, after Iraq invaded its eastern neighbor, Iranian President Hassan Rouhani warned Donald Trump not to repeat Hussein's folly. "The same will happen to Trump. America will suffer the same fate as Saddam Hussein," he said, speaking at a military parade in the Iranian capital on Saturday. The Iranian president emphasized that while Iran has never begun a war or invaded a country, and had no intentions do so, it would be ready to defend itself, and would not give up its defensive capabilities. "Iran will not abandon its defensive weapons … including its missiles that make America so angry," Rouhani noted, referring to the country's large arsenal of short, medium and long-range missile systems. 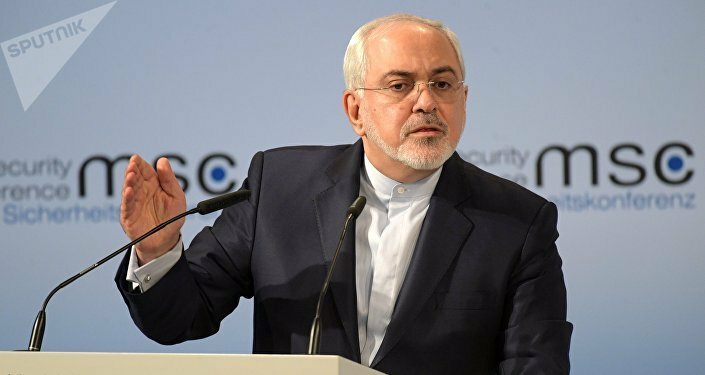 "The most influential weapons of the Islamic Republic are missiles, and with recent pressure [by] enemies, we appreciate our missiles more than ever," he said. In his speech, Rouhani recalled that despite Saddam Hussein's war crimes, including the use of chemical weapons, during the Iran-Iraq War, no international authority stood up to him. "This is a great lesson for us," he said. Hussein's Iraq, Rouhani added, was merely "the [servant] of the United States. … But today it is no longer a proxy war, and the United States is directly before the Iranian nation, and has begun to violate agreements," including by withdrawing from the 2015 nuclear deal. Rouhani noted that Iran had secured a "political, legal and moral victory" against the US by filing complaints in the International Court of Justice and respecting "our covenant and international regulations and the Security Council." The president vowed that Iran's enemies would not be allowed to achieve their goals, and that Tehran "won't let the Americans bring our nation to its knees. Without a doubt, they will create some problems for our people, but we are able to overcome this." Iran began large-scale naval drills in the Persian Gulf on Saturday involving some 600 vessels, a day after holding air force drills in the strategic waterway through which about a third of the world's oil supply is transported. The United States also has naval assets in the area, with tensions escalating after the US withdrawal from the Joint Comprehensive Plan of Action (JCPOA) nuclear deal this spring. Tehran vowed to resist all US efforts to cut off the flow of Iranian oil supplies, and warned that it could cut off the supply of oil through the Strait of Hormuz. In his speech, Rouhani also addressed the US presence in the Gulf, saying "You are saying that we must not be present in our own region, but the question is what are you doing in this region from thousands of kilometers away." Military parades dedicated to the anniversary of the start of the Iran-Iraq War have been staged across Iran. Commemorations in the southwestern city of Ahvaz ended in tragedy when several terrorist gunmen opened fire, killing at least 24 people, and injuring nearly two dozen others. An official said that two of the militants were killed by security forces, with two others detained.